We've both seen the statistics showing the incredibly high failure rates of successful dieting. NINETY-FIVE FREAKING PERCENT of dieters fail in their pursuits? That seem's absolutely absurd, doesn't it? The people I talk with online and at the gym have a relatively good understanding of what it takes to start losing weight. But there are a handful of fundamental components to losing weight that they deem as being unimportant or don't realize are crucial to every successful weight loss plan! Just telling you about them wouldn't be much help though, would it? That's why I'll ALSO show how to fix these mistakes and create a plan that'll help you drop weight and keep it off for good! What follows are 5 of the most common mistakes I see people making with their nutrition and exercise plan. 1. You're Only Focused on Eating "Healthy"
"Avocados are healthy... DOUBLE GUAC PLEASE!" Overfocusing on food quality is, by far, one of the biggest diet-related errors I see. You see, when most people start losing weight, the first thing they do is zero in on quality and making healthy swaps in their diet. Now don't get me wrong. Eating more whole foods (fruits, veggies, whole grains, etc.) and less junk is going to improve your overall health and provide more vitamins, minerals, and fiber. Instead, what matters most is your TOTAL calorie intake. But if you compared the nutrition labels, you'll see that the wheat bread has DOUBLE the calories compared to the "unhealthy" white bread. Don't take me wrong... these foods are still nutritious. But they can also add a ton of extra calories to your diet, especially if you aren't monitoring your portion sizes. It doesn't matter how "healthy" or "clean" your diet is. If you consume too many calories, you'll won't lose weight. I still advise making the majority of your diet come from whole & nutritious foods, but ensure you're ALSO eating few enough calories to create the energy deficit needed for weight loss. Food tracking and calorie counting are two of the best ways to guarantee you're consistently eating in a calorie deficit. It's the method of dieting I've used for myself and use for the majority of my online coaching clients. But HOW you track is just as important as actually logging your food intake. That half-ish a muffin you tracked turns out to be 3/4ths a muffin (difference of ~75 calories). That tablespoon or so of peanut butter was actually 1.5 tablespoons (difference of ~50 calories). But do this 4, 5, or 6+ times a day, and you could end up taking in an additional 300-500+ calories without realizing it! That's why along with tracking, I'm a big fan of using a food scale. Why? Because they're cheap, and they guarantee 100% accuracy for measuring exact servings sizes. In fact, I believe that a food scale is THE best investment you can make for your weight loss success and long-term health. But after a few months of using it, I found that using a food scale made my diet LESS strict, LESS obsessive, LESS stressful, and MORE effective! I don't know about you, but option b seems like the clear and obvious winner. Here's what I think: If I can lose weight eating whatever foods I want, and the cost is spending an extra 10-15 minutes a day weighing out portions and logging my food in a digital journey, so be it. It's a million and one times better than feeling overly restricted and incorrectly labeling foods as being "good" and "bad." Plus, after using a food scale for a few months, you'll have gained experience that makes it much easier to guess and eyeball proper portion sizes accurately. If you do decide to count calories and track your food intake, you should ALSO be using a food scale to be certain what you're logging is accurate. If you guess, you may end up taking in more calories than you think and struggle to lose weight. But the opposite end of the diet spectrum—taking in too few calories—is just as bad, if not worse for achieving your weight loss goals. To your body, sudden weight loss is a sign there may be a shortage of food or famine. As a result, it starts taking steps to make sure you don’t… well… die! One way your body responds is by downregulating various metabolic processes. Your body is trying to get Calories Out to match your Calories In—which is why extreme and long-term dieting leads to increased hunger, cravings, laziness, and feeling lethargic. "Eat MORE and move LESS! Don't you go dying on me!" Another side effect of eating too little food is muscle loss. Muscle is incredibly important for our health, especially as we age. The problem, though, is that it's very metabolically expensive—meaning it costs a lot of energy to maintain. This is great when you're trying to lose weight or maintain your weight. More muscle means a faster metabolism! The result is a slower metabolism, which makes losing weight and maintaining a healthy body a constant fight and annoyance. The solution? Create a moderate calorie deficit and take diet breaks from time to time. I define a moderate deficit as being 20-25% below your calorie maintenance. Once a week (or ever 7-14 days) have a "cheat meal" that puts you 500-700 calories over your regular target. Every 6-8 weeks, take a week or two off from dieting and eat at maintenance calories to allow your body to recover before jumping back into a deficit. Want to know the TRUTH about cheat meals and losing fat? Avoid prolonged and/or extreme low-calorie dieting. Stick to a moderate calorie deficit (20-25%), have a controlled cheat meal every 7-14 days, and take a full week off from dieting every 6-8 weeks. I've written about my opinion on cardio before in a separate article. The reality is that cardio isn't as effective for losing weight as most people think. But if you're like me and would rather stick hot needles in your eyes than run a 5k, then take solace in the fact that hours of daily cardio is NOT necessary to lose weight. What matters the most is your diet. Cardio can help you burn a few hundred extra calories, but it's not a solution for losing weight. If you enjoy cardio, do it. But know it's not required. Dialing in your diet is far more important for long-term weight loss results. "Woohoo! Carter said I don't have to do cardio! Now I'll just focus on dieting, and I'll be lean in no time!" Just because I said you don't have to do cardio does NOT mean you should skip exercise entirely. Remember when I talked about our bodies "adapting" and slowing our metabolism while dieting? By not exercising, you're basically encouraging your body to slow down its metabolism. It's like handing your house keys over to the guy trying to rob you. Diet alone will help you lose weight, but without exercise, you'll lose more than just fat—you'll also end up losing weight from lean muscle mass. So the best way to ensure you lose fat and NOT muscle while dieting? Utilize muscle building exercises like strength training and lifting weights. Similar to cardio, resistance exercise burns calories in the act, but it goes one step further by building lean muscle and speeding up your metabolism in the long run. You can lose weight with diet alone, but the weight you lose will come from both fat and muscle. Exercising (spececifically strength training) will actually BUILD muscle and improve your metabolic health. Obviously, there are more diet mistakes out there, but I believe these five are the most common, and getting them straightened out will help the vast majority of struggling dieters. Want Some Help Getting Started on Your Journey? You also need to APPLY your knowledge if you want to see noticable changes to your body and health. That's why I created a my free course, Fat Loss Forever. 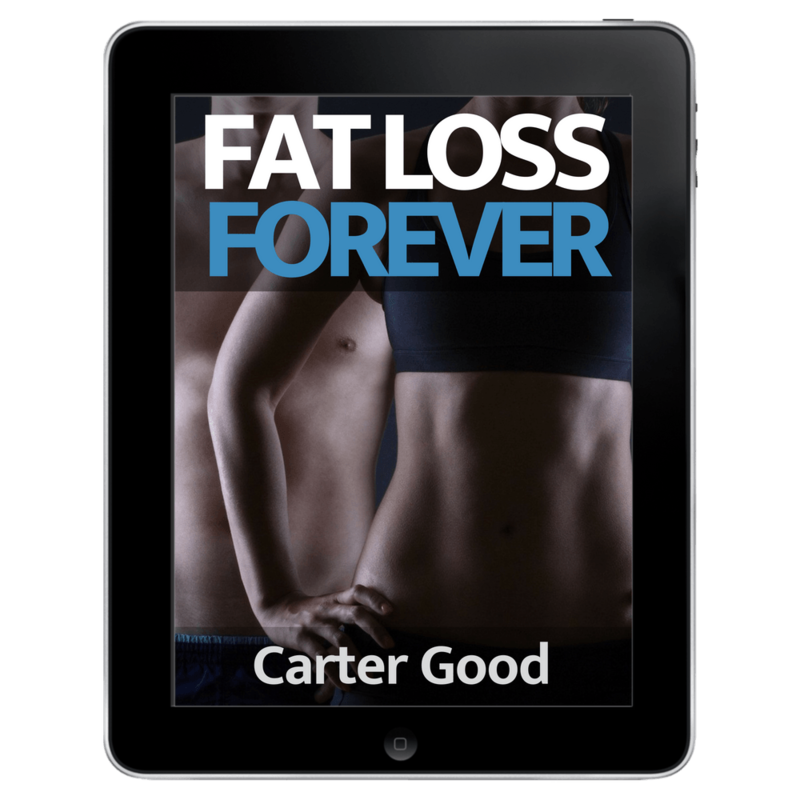 I designed Fat Loss Forever with the specific goal of eliminating the common mistakes I've written about in this article and outlining a plan for getting started down the right path. This free 14-day fat loss course will teach you everything you need to know about diet and exercise to lose fat and keep it off once and for all. If you're interested, click the button below to enroll instantly (and for free 😉).